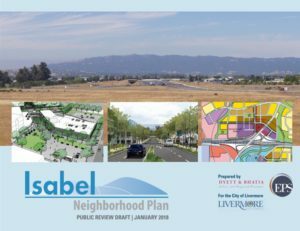 The Livermore City Council unanimously approved the Isabel Neighborhood Plan at its meeting on May 14th. The Plan seeks to guide future development in the area surrounding the proposed BART station. The primary objectives of the Plan are to create a complete, walkable neighborhood that complements the BART station and addresses citywide goals for increasing housing options, transportation choices, and job opportunities. EPS assisted the City and planning team with real estate market and municipal finance advisory services.